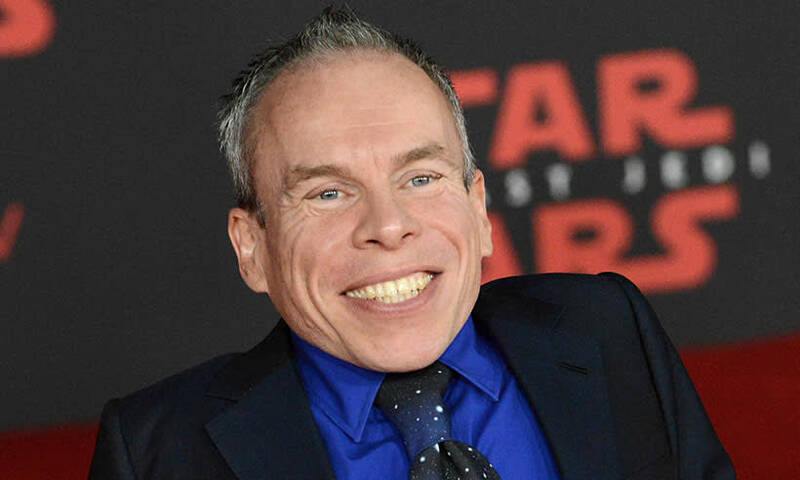 Warwick Davis is an English actor, TV presenter, director, producer, and writer. He is popular for playing characters in the Leprechaun franchise, Willow, Life’s Too Short, and Star Wars Episode VI: Return of the Jedi, in which he portrayed the famous Ewok Wicket. He has also appeared in every single Harry Potter movie, acting in different roles each time. The seasoned actor suffers from a very rare genetic condition called spondyloepiphyseal dysplasia congenital, which causes dwarfism. Although his condition puts him in a lot of pain and makes fitting into the society a lot more difficult, Warwick has managed to make tons of lemonade out of the lemons that life handed him. He is very outspoken about his struggles and thankful for all his achievements. Davis believes that the worst tragedies of his life have only made him stronger. His life is an interesting tale, let’s get to it. 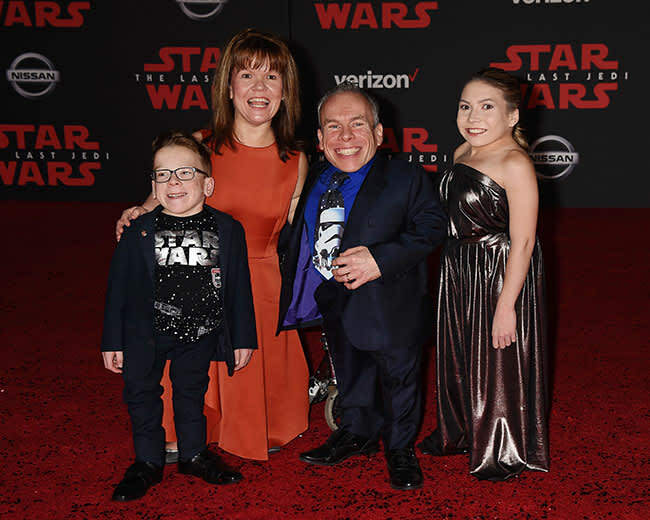 The actor was born as Warwick Ashley Davis on February 3, 1970, in Surrey, England. He was diagnosed with a rare form of dwarfism. The condition was so grave that his doctors didn’t expect him to make it past his teen years. He was the first person in his family to suffer from the disorder. Warwick attended Chinthurst School for his early education before moving on to the City of London Freemen’s School. He had a difficult time getting along with his classmates because of his height and had to make extra effort to be confident to avoid getting bullied at school. Warwick’s foray into acting began when his grandmother heard an advert on the radio asking for people who were 4 feet tall or shorter to audition for roles in the Star Wars film, Return of the Jedi. Warwick who was only 11 years old at the time was a huge fan of the franchise and being in the movie was the best thing that ever happened to him. He scored a role, playing Ewok in the movie which later became a blockbuster hit. It opened up more opportunities for him in the movie industry. His next major role was as the eponymous protagonist of the movie, Willow. He was also cast in the TV adaptation of The Chronicles of Narnia titled Prince Caspian, The Voyage of the Dawn Treader, as well as The Silver Chair, Zorro, and Leprechaun. Returning to Star Wars, Davis played three different roles in Star Wars: Episode I – The Phantom Menace. Lovers of the Harry Potter film series might recognize him as Professor Filius Flitwick and Griphook the goblin. Warwick scored a role in the 2004 indie movie Skinned Deep, as the character named Pilates. He also starred in The Hitchhiker’s Guide to the Galaxy. Warwick Davis then played a fictionalized version of himself in the Ricky Gervais film, Life’s Too Short. Some of his other projects include Spamalot, Star Wars: The Force Awakens, Star Wars: The Last Jedi, and Solo: A Star Wars Story. The actor has also worked as a television presenter, and producer on several shows including Tenable, Eugenius!, and See How They Run. Warwick Davis has built an illustrious acting career over the years, accumulating fame and wealth along the way. At present, his net worth is estimated to be about $5 million. This figure is expected to rise as the years go by. The actor is the son of Susan and Ashley Davis. His father, an average sized man, worked at an insurance company. The actor was not the only child born to his parents, he has one sibling, a younger sister named Kim. The actor admits that his father was the one who helped him find his confidence and escape the crushing depression that could have followed him everywhere. He says that if he had grown to a normal height, he would have considered becoming an insurance broker like his father. Warwick is married to Samantha the daughter of his business partner and fellow dwarf actor, Peter Burroughs. The couple met on the set of Willows, where Samantha played a minor role. His wife also suffers from a form of dwarfism known as achondroplasia. Unfortunately, their genetic makeup made it hard for them to have children in the beginning. Their first child, Lloyd died shortly after he was born due to the lethal mixture of the achondroplasia and SED gene which he inherited from both parents. They lost another child named George in the same manner, and Samantha suffered two miscarriages before their union was blessed with a daughter named Annabelle. Thankfully, this child survived, and so did the fourth child, a son they named Harris. Annabelle is also a performer like her parents. She stars in a CBBC show called Dumping Ground. The family live happily together in their beautiful home and do not shy away from appearing on the red carpet together.